"Why did the bear cross the road?" asks Donald Sanborn in a Facebook post. "To scare the runners and make me lose precious time in the middle of a race!" 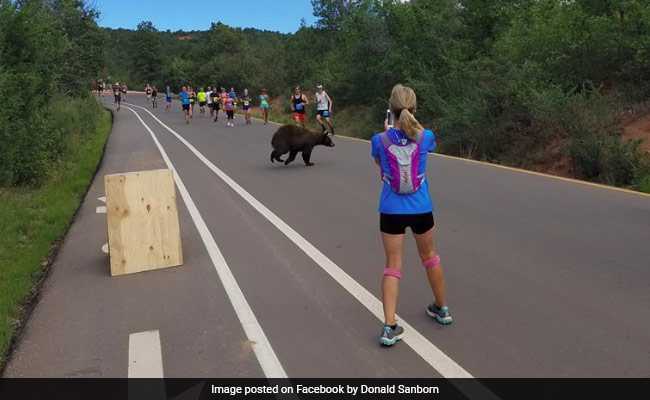 Mr Sanborn posted a series of pictures to Facebook on Sunday showing a bear running across the road, cutting past startled runners, during a race in the American state of Colorado. 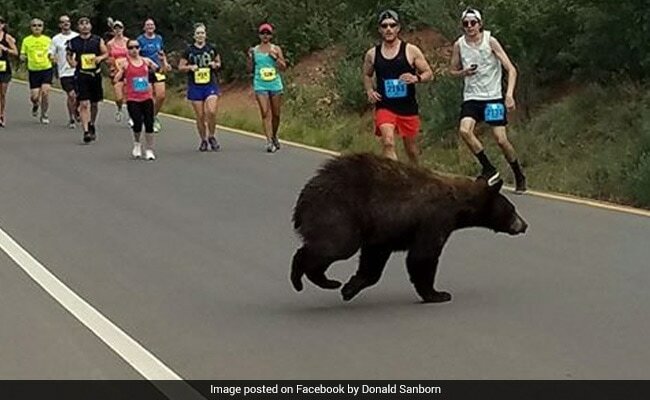 Writing in the comments section, Mr Sanborn explained that the bear initially couldn't decide whether to run across the road filled with people. It waited on the side of the road, he wrote, contemplating what to do. Once a slight gap opened up, the bear made a run for it. Describing the encounter to CBS Denver, Mr Sanborn said: "I'm in the middle of the race, and I was actually thinking, 'Would you hurry up and get across the road. I want to get on with my race.'" On Facebook, people were quick to react to the bizarre encounter. This person saw the unexpected encounter as the perfect reason to remain "out of shape"
No injuries were reported and the bear has not been spotted in the area since then. Last week, bizarre footage emerged of a bear breaking into a home and 'playing' the piano in Colorado.